Henry VIII was King of England from 1509 until his death. Henry was the second Tudor monarch, succeeding his father, Henry VII. Henry is best known for his six marriages, in particular his efforts to have his first marriage, to Catherine of Aragon, annulled. His disagreement with the Pope on the question of such an annulment led Henry to initiate the English Reformation, separating the Church of England from papal authority. He appointed himself the Supreme Head of the Church of England and dissolved convents and monasteries, for which he was excommunicated. Henry is also known as "the father of the Royal Navy"; he invested heavily in the Navy, increasing its size greatly from a few to more than 50 ships. The King's Wardrobe, together with the Chamber, made up the personal part of medieval English government known as the King's household. Originally the room where the king's clothes, armour, and treasure were stored, the term was expanded to describe both its contents and the department of clerks who ran it. Early in the reign of Henry III the Wardrobe emerged out of the fragmentation of the Curia Regis to become the chief administrative and accounting department of the Household. The Wardrobe received regular block grants from the Exchequer for much of its history; in addition, however, the wardrobe treasure of gold and jewels enabled the king to make secret and rapid payments to fund his diplomatic and military operations, and for a time, in the 13th-14th centuries, it eclipsed the Exchequer as the chief spending department of central government. The Lord Privy Seal is the fifth of the Great Officers of State in the United Kingdom, ranking beneath the Lord President of the Council and above the Lord Great Chamberlain. Originally, its holder was responsible for the monarch's personal (privy) seal until the use of such a seal became obsolete. The office is currently one of the traditional sinecure offices of state. Today, the holder of the office is invariably given a seat in the Cabinet of the United Kingdom. 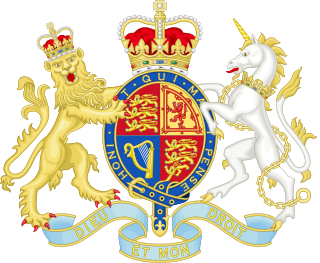 The Crown is the state in all its aspects within the jurisprudence of the Commonwealth realms and their sub-divisions. Legally ill-defined, the term has different meanings depending on context. 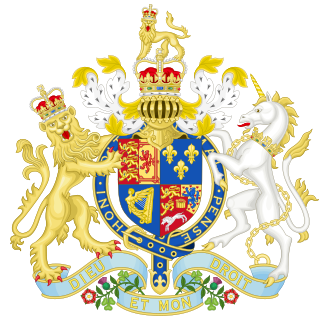 It is used to designate the monarch in either a personal capacity, as Head of the Commonwealth, or as the king or queen of his or her realms. It can also refer to the rule of law; however, in common parlance 'The Crown' refers to the functions of government and the civil service. The Secretary of State for the Southern Department was a position in the cabinet of the government of Kingdom of Great Britain up to 1782, when the Southern Department became the Foreign Office. Sir John Maunsell, Provost of Beverley Minster, was a king's clerk and a judge. He served as chancellor to King Henry III and was England's first secretary of state. Franciscus Accursius (1225–1293) was an Italian lawyer, the son of the celebrated jurist and glossator Accursius. The two are often confused. Sir John de Benstede KB (c.1275 –1323/4) was a prominent member of the English royal household in the late 13th and early 14th century. He was Prebendary of Sandiacre from 3 February 1297 until, presumably, 1308, when he married. He was also King's Secretary, and he served variously as keeper of the Great Seal and controller of the wardrobe. He also served as Chancellor of the Exchequer from 1305-1306, and as a royal judge from 1309 onwards. William Paget, 1st Baron Paget of Beaudesert, was an English statesman and accountant who held prominent positions in the service of Henry VIII, Edward VI and Mary I. Sir Thomas Smith was an English scholar, parliamentarian and diplomat. Sir Ralph Sadler PC, Knight banneret was an English statesman, who served Henry VIII as Privy Councillor, Secretary of State and ambassador to Scotland. Sadler went on to serve Edward VI. Having signed the device settling the crown on Jane Grey in 1553, he was obliged to retire to his estates during the reign of Mary I. Sadler was restored to royal favour during the reign of Elizabeth I, serving as a Privy Councillor and once again participating in Anglo-Scottish diplomacy. He was appointed Chancellor of the Duchy of Lancaster in May 1568. Sir William Petre was Secretary of State to four successive Tudor monarchs, namely Kings Henry VIII, Edward VI and Queens Mary I and Elizabeth I. Sir Thomas Parry was a Comptroller of the Household to the English Queen Elizabeth I. The Clerk to the Privy Council is a civil servant in Her Majesty's Government in the United Kingdom, being Head of the Privy Council Office. Events from the 1500s in England. Thomas Smythe or Smith of London, Ashford and Westenhanger, Kent, (1522–1591) was the collector of customs duties in London during the Tudor period, and a Member of Parliament for five English constituencies. His son and namesake, Sir Thomas Smythe, was the first governor of the East India Company, treasurer of the Virginia Company, and an active supporter of the Virginia colony. William Honnyng (1520–1569) was an English Member of Parliament and Tudor Court official who served as Clerk of the Signet and Clerk of the Privy Council under Henry VIII and Edward VI. Elizabeth Stafford, also known as Dame Elizabeth Drury and – in the years prior to her death in 1599 – Dame (Lady) Elizabeth Scott, was the daughter of Sir William Stafford and Dorothy Stafford, and the wife of Sir William Drury. She was a Lady of the Bedchamber to Queen Elizabeth I. 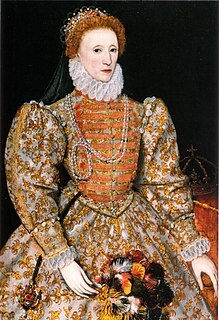 She and her first husband, Sir William Drury, entertained Queen Elizabeth I at Hawstead in 1578. Sir John Herbert was a Welsh lawyer, diplomat and politician who sat in the House of Commons at various times between 1586 and 1611. He was Secretary of State under Elizabeth I and James I. Sir Walter Cope of Cope Castle in the parish of Kensington, Middlesex, England, was Master of the Court of Wards, Chamberlain of the Exchequer, public Registrar-General of Commerce and a Member of Parliament for Westminster. Sir Thomas Wroth was an English courtier, landowner and politician, a supporter of the Protestant Reformation and a prominent figure among the Marian exiles. Sir Thomas Cornwallis was an English politician. ↑ Pollard, Albert Frederick (1911). "Burghley, William Cecil, Baron" . In Chisholm, Hugh. Encyclopædia Britannica . 4 (11th ed.). Cambridge University Press. pp. 816–817. ↑ Yorke, Philip Chesney (1911). "Bristol, George Digby, 2nd Earl of" . In Chisholm, Hugh. Encyclopædia Britannica . 4 (11th ed.). Cambridge University Press. pp. 576–577.